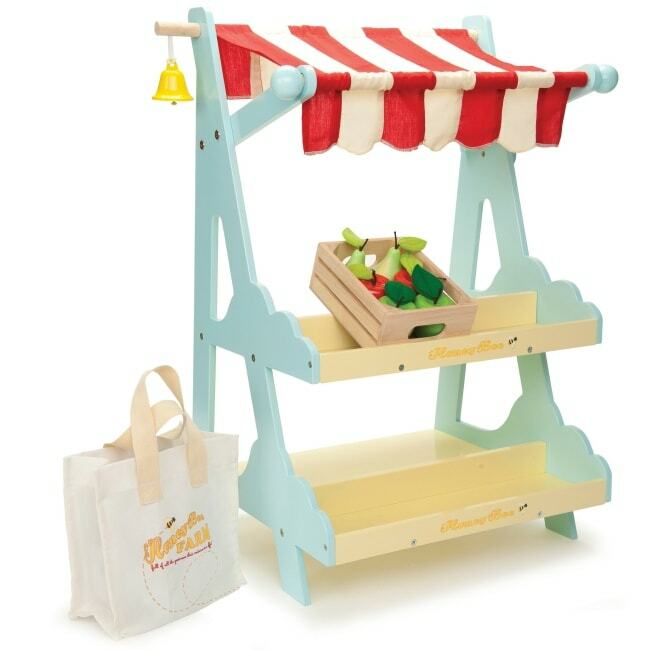 Get your fruit and veg here - traditional wooden market stall playset with a striped fabric canopy and integral bell. 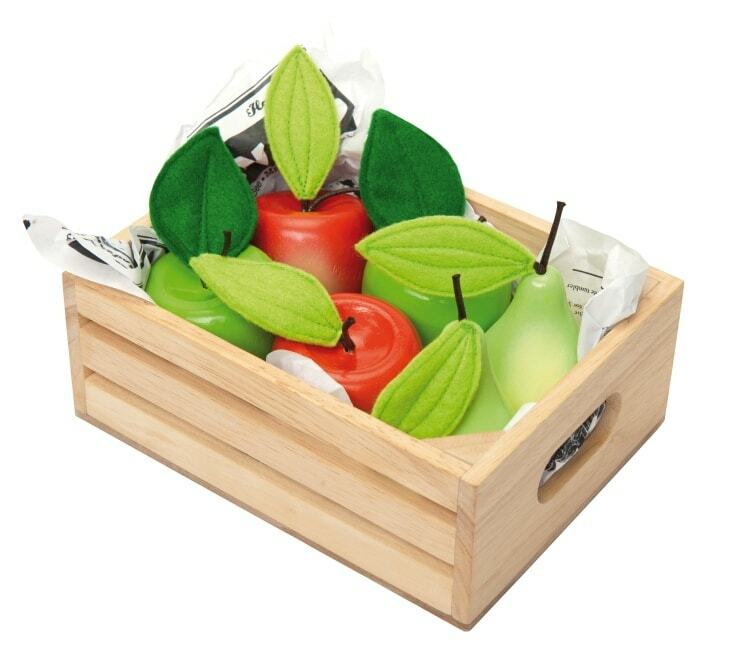 Also included is a crate of wooden apples and pears to get you started and a fabric shopping bag. 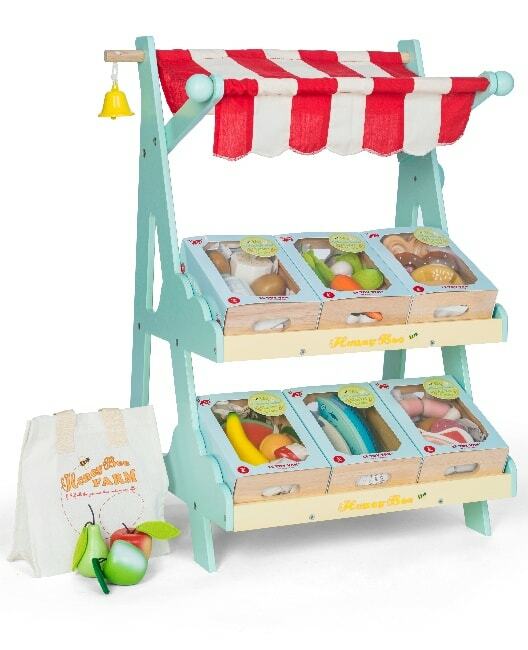 We also stock additional crates to stock your little market stall up with. 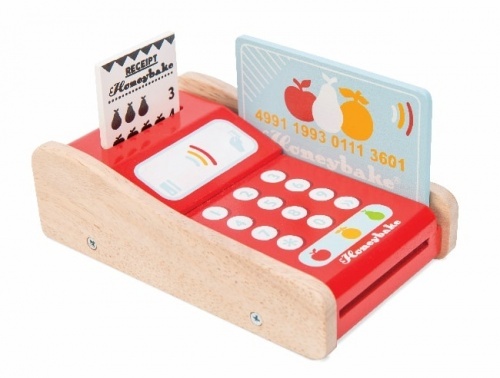 Why not add weighing scales and a cash register to complete your store.